Ad blockers? Who needs ad blockers? 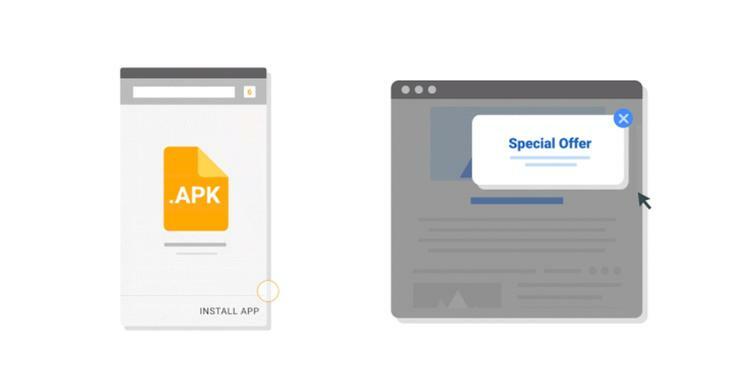 Google Chrome 71, due in December, will block what it calls “abusive” ads—ones that employ deceptive elements to trick users into clicking them them, Google said Monday. Google defines an abusive ad as one that includes a deceptive behavior—for example, an ad that includes a deceptive “close” or “X” button within it. In a legitimate ad, clicking such a button would close the ad. A deceptive ad makes the element part of the ad itself, so that clicking it actually launches the ad. That’s the sort of behavior that will trigger Google’s ire. Site operators found to harbor such ads will have 30 days to check their Abusive Experiences Report before Google lowers the hammer and removes all ads from the site, Google said. Google’s move basically acknowledges that the anti-abuse measures it introduced with Google 68 a year ago didn’t go far enough. At the time, Google said that about 1 in 5 feedback reports it receives indicate that the user experienced some form of unwanted content. This week, the company said that roughly half of these unwanted experiences include these abusive ads, justifying the crackdown. What this means to you: This is certainly a welcome change for all avid web surfers. Some users kill all ads via ad blockers anyway—which is why users need to be convinced that ads should just be annoying, rather than outright harmful. Sadly, it may be too late to save the display ad business.